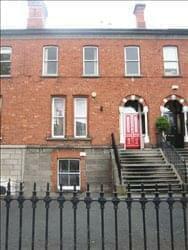 Find My Workspace lists over 95% of the serviced offices market in Ballsbridge. Simply click Request Quote to check pricing for one office, or Add to Basket for multiple offices. Built in 1860, this centre was beautifully restored to its original splendour in 2008. The property comprises of a two storey over basement Georgian building measuring 2,300 sq feet. Formally occupied by the Spanish Embassy between 2000 and 2006 the building was lovingly restored in 2008 to high standards. The work space is extremely accessible with a sophisticated security system and 24-hour access. In addition, the office spaces are fully furnished allowing any enterprise to get started right away upon moving in. The building also provides useful kitchen facilities, ideal for employees bringing food to work or for making tea/coffee. The work space blends the old Georgian splendour with the latest state-of-the-art IT and telephony systems to provide you with unique, professional, functional space adorned with luxury furnishings, chandeliers and woven carpet throughout. To obtain information for your selected South Dublin Serviced Offices, please tick the "Add to basket" box for each office you prefer and complete the form below. We will then send a detailed report via email.